Although South Africa and England took the three Junior World Championships between 2012 and 2014, the other five U20 Championships, since the tournament’s inception in 2008, have all belonged to New Zealand. The Baby Blacks, much like their senior counterparts, have been the team to beat over recent years, but their performances have certainly dipped this year, which is apparent by their place in the middle bracket of this year’s World Rugby U20 Championship playoffs. For the first time in the tournament’s history, New Zealand will not end up as one of the top four teams in the competition. So what has caused this fall from grace and is it just a one-year lull or the harbinger of something more ominous for Kiwi rugby? One thing is very clear and that is that this crop of U20s is not filled with the usual plethora of gamechangers that the Baby Blacks so often have at their disposal. There is no Savea or McKenzie in this group, capable of creating things from nothing. Nor is there a duo like Akira Ioane and Otere Black, that helped New Zealand to success last season. In fairness to New Zealand, Jordie Barrett is already a very accomplished player and has certainly been the pick of their, thus far, lacklustre campaign. The younger brother of Beauden and Scott, Jordie has been an effective force at inside centre, both as a carrier and a playmaker, but hasn’t had the support he needs from his pack or the backs outside of him. As mentioned, the pack of this Baby Blacks side has failed to impress. The scrum has been given a torrid time by Georgia and Ireland. Ayden Johnstone has held up well at loosehead, but he has not had the help he requires from his tightheads or locks. In previous years, New Zealand have been able to mitigate sub-par set-pieces with the wizardry of their back line but not so in 2016. The breakdown, an area they so often dominate, has also been an Achilles’ heel for the five-time champions. Ireland were too physical and accurate with their contact area work to give New Zealand a sniff and even Georgia and Wales had moments when they were just too powerful on the clear-out and there was little New Zealand could do to threaten their ball security. If you take out the gamechangers, the set-piece foundation and the dark arts at the breakdown and any New Zealand side, U20 or senior, begins to look very ordinary. This should not detract from the momentous performance that Ireland put in to beat the Baby Blacks and secure qualification for the top playoff bracket but this class is not in the same vintage as many of the recent New Zealand sides we have seen at this level. There has been no diminishment in New Zealand Schools rugby and it’s probably fair to class this as an anomaly, rather than a forbidding premonition of what is to come. With a plethora of talented options already at their disposal, no nation in the world is in a better position than New Zealand to survive a fallow year at this level. 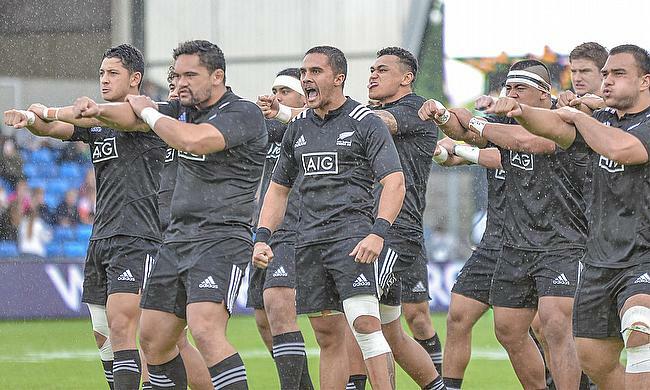 The Baby Blacks should be back with a vengeance next season but they could find themselves with a difficult seeding thanks to their performances this year, something which will just add to the challenge that stands between New Zealand and their sixth U20 title.